Reel Talk Online: DVD Review: "The Book of Eli"
DVD Review: "The Book of Eli"
"You sacrificed so much for that book. So many men. More than you can spare." With the exception of a few projects, Denzel Washington usually chooses movies very wisely. Unfortunately that's not the case with his last movie The Book of Eli. It had a strong premise, though not original--in a post-apocalyptic America one lone guy Eli (Washington) tries to save the world all by his lonesome with the help of his shotgun and a sacred book, which he's convinced is the key to save mankind. Trouble is, of course everyone wants to get their hands on this book, and will do anything to grab it from him, even if it means killing anyone who gets in their way. The Dark Knight's Gary Oldman plays Carnegie, the scariest mobster in the desolate land, and Eli's biggest nemesis. When he gets word that Eli's got the much sought after book, he and his gang stop at nothing to take it from him. Mila Kunis plays the damsel in distress Solara, who has managed to survive in this violent world on her own. She meets Eli who reluctantly takes her in and together they try to save humanity and themselves. 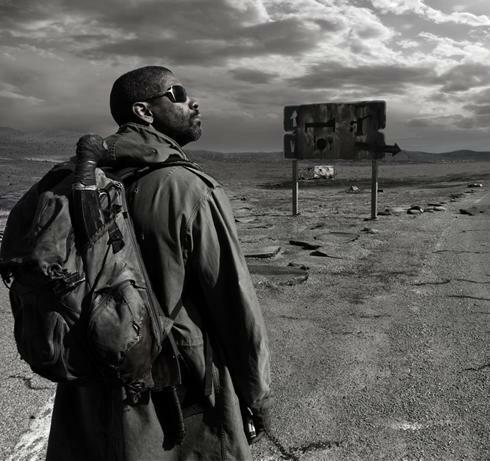 The problem with The Book Of Eli is that the script gets a little lazy towards the end and you easily get disinterested. Jennifer Beals's character Claudia, Solara's mother and Carnegie's lover, is to ally useless as the one who tries to convince her daughter to trick Eli into succumbing to Carnegie for the book. The Book Of Eli is just one hot mess with choppy biblical undertones; it may have been better off perhaps as a comedy a la From Dust 'Til Dawn or something. The filmmakers just tried to get too deep with something that was not fully developed. was vastly disappointed as i love the hughes brothers, but not that tired storyline. I hated this movie. What a waste of Oldman and Washington. I think I actually stepped out of the theater for a few minutes because I was so bored. I agree. It really had an interesting story and concept, it just didn't execute well. Unfortunately, the film just didn't do it for me either.